Custom printed water bottles are ideal for corporate events, in hotels, gyms or beauty clinics, as client gifts or even in the staff cafeteria. They convey professionalism and reinforce your company branding and style. Choose from white or clear labels. 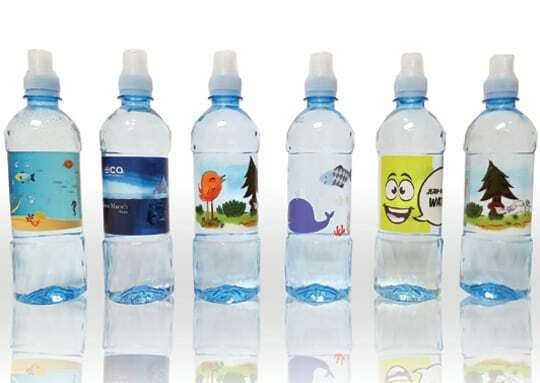 If you want to really impress your clients we can even personalise these water bottle labels with their individual names. 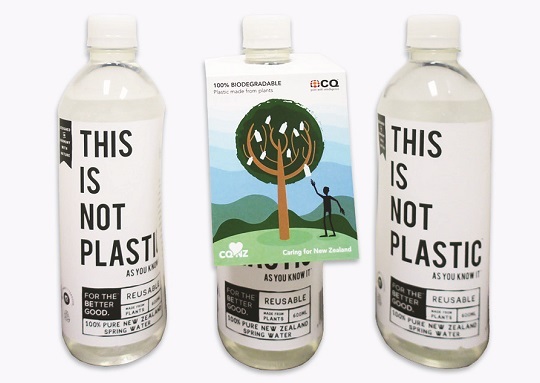 We also stock Better Bottles made in NZ from plants that are non toxic, biodegradable and compostable. These can be supplied with custom printed paper tags. 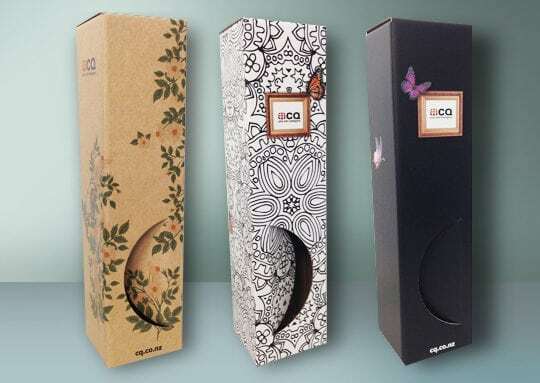 As a Better Bottle partner, empty bottles can also be returned to us to arrange composting. Need a design? We can help. Ask to speak with our in-house designer to create an eye catching design. Don’t forget to also check out our chocolate boxes and other custom printed packaging. Print: Full colour or black and white. Finishing: Supplied flat or pre stuck to water bottles. 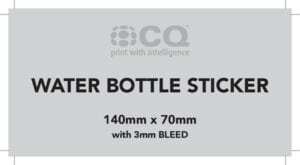 When designing your label please ensure that if you are wanting this printed full bleed (with colour from edge to edge) that your design includes at least 3mm bleed (this is extra area around the label to allow for trimming). We also suggest that you avoid critical detail being closer that 3mm from the edge of the page, and we also don’t suggest that you have a frame around the edge. The reason for this is because there is always movement within the printing process and as a result when the labels are cut we may not be cutting exactly on the crop mark, hence the requirement for bleed and the suggestion to avoid detail being close to the edge. If you have any questions it is usually easier to call and get the answers before you start designing to avoid any extra costs that may be incurred if we need to fix your file so it is suitable for printing. When supplying your electronic file for digital printing we always prefer to receive this in PDF format. 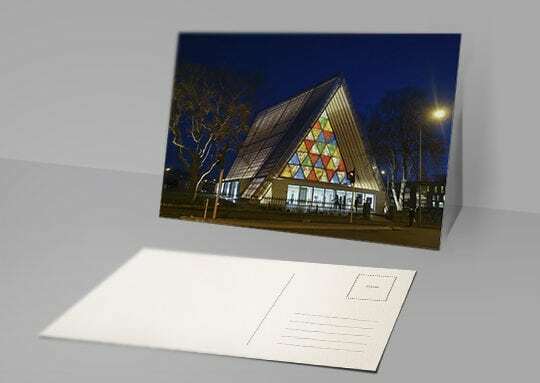 This will happen automatically if you print using Web to Print, or alternatively our PDF Resource page lists a number of free PDF creation options. If your job is to be offset printed (eg you need specific Pantone colours, embossing or foiling) then usually we would prefer the native file. You can supply them 1up on the sheet as we have software that will automatically gangup multiple cards to fill the sheet.